A reader named Joyce recently wrote in to ask about managing a CD ladder in a low interest rate environment. She noted that interest rates have been falling, and that she’s not crazy about locking her money up for minimal return. She’s thus wondering if she should continue to plow her money back into her ladder when CDs mature, or if she should pull the money out of CDs entirely. For starters, let’s define what we’re talking about. A CD ladder is simply a set of long(er) term CDs with staggered maturity dates. For example, you might have a set of twelve 1 year CDs, each maturing during a different month throughout the year. Alternatively, you might have five different 5 year CDs, each maturing a year apart. Regardless of how you set it up, the attraction of a CD ladder is that it allows you to retain some degree of liquidity (due to the staggered maturity dates) while earning a higher interest rate than you could otherwise get with a high yield savings account. In addition, the staggered maturity dates help smooth out interest rate fluctuations. Returning to Joyce’s question, I agree that the current interest rate environment is frustrating — a quick glance at my list of online savings account interest rates will show you just how bad things have gotten. But should she abandon her ladder? The answer to this question depends on a number of variables, such as the term of the CDs, how soon this money might reasonably be needed, etc. From the sound of her e-mail, Joyce is holding fairly short-term CDs (6-12 months), so she’s not facing a lot of risk by renewing now. If interest rates suddenly move upward (seems unlikely, but I’m no economist) she wouldn’t be stuck holding the bag for very long. Another thing to keep in mind is that, as I noted above, one of the main points of maintaining a CD ladder is to smooth out the ups and down in interest rates. Yes, interest rates are down right now, but the ladder means that: (1) only a fraction of your holdings are being renewed at any one time, and (2) the other, higher rate CDs will soften the impact of these low rates. There are, of course, some alternatives. One would be to shop around for better rates elsewhere. Joyce’s money is currently at ING Direct, which is bringing up the rear right now in terms of interest rates at online banks. Of course, this adds complexity, so it might not be worth the trouble. Another possibility would be to just let this rung on the ladder sit on the sidelines in a savings account until rates improve — maybe create a subaccount to make sure it doesn’t get spent. The problem here is that savings account interest rates are typically even lower than CD rates (that’s certainly the case right now at ING Direct), so there’s not much to be gained unless she switches to a bank whose savings rate is higher than ING’s CD rates. So, dear readers, what did I miss? Do you have any advice for Joyce? I am 62 and retired using a 5 yr CD ladder for income. As each CD matures I take out the money I need for income and put the rest in a new 5 yr CD. I always try to get the highest FDIC insured CD rate in the nation. The rate difference can mean the difference between 25,000 vs 40,000 per yr in income on 1,000,000 balance. When the interest rate environment is low I continue to use the same procedure. One of the main reasons to build a cd ladder is to free you from trying to time the interest rate market. If you don’t have a ton of cash for CD investing, you probalby are better off going with a high yield account. Go check out some calculators online, but you may be only “making” a few dollars more, yet you will have spent a lot of time getting everything set up. If the return is $10 for a year, and it will take more than an hour to do it, what is the value? Go stand on a street corner spinning a sign and make more money if that is your goal. I’m anxiously waiting for the days when savings accounts are 6%+ again. I’m going long on 5 yr CD’s in the smallest increments that I can with a given institution. I’ve decided to capture the highest rate possible and use the early withdrawal call option if / when interest rates rise. The penalty is the interest rate loss (typically 6 months on 5 yr CD’s) due to the early withdrawal. Classic variable time duration laddering makes no sense to me. I want to control the timing of my money deposits (within a 5 year window) based on interest rate changes. This approach minimizes the interest rate “surprise” that occurs with shorter duration periods. 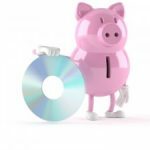 By using small CD deposits I can control the amount and time of CD conversion if/when the rates increase. In the mean time I’m enjoying the highest CD rates available. I’ve not chosen the 7 year CD’s because the early withdrawal penalty typically doubles for that duration (1 year). It’s true that eventually my 5 year CD’s will mature at about the same time, if interest rates haven’t risen enough to convert to a higher rate. But, in the mean time I have established an interest rate floor for the 5 year duration. FNBO Direct and GMAC Bank have better rates on their savings accounts than many folks have on their CDs. Of course, these two outfits have some good CD rates, too, but, for me, the slight rate increase isn’t worth locking my money up for that long (I.E., 12 months). Consider just parking your money in one of these accounts, until CD rates go up. I was going to post something similar. I started a CD ladder a couple months ago and was doing the rate-chasing game as well until I found a local bank that pays 5.01% up to $20K. So all my funds will be directed there (I even closed the CDs early and took the penalty as it will pay out much higher over the length of time the CDs would’ve taken to mature). Of course, you need to be disciplined having all your money readily available, but the risk is worth it considering I’ll be making $40-$50 in March on interest alone. That’s my water bill and then some! It depends on how much money you have in CDs. There are other options besides CDs and saving accounts. I currently am making 5% and the money is fully liquid. Take a look at high interest checking. Sure you have to use a debit card 10-12 times a month, but that is easy to do. I just run the card through 10 times for $.10 each when I normally fill up my car. Of course the bank will only give you that great rate up to $25K, but you could always do multiple accounts. Keep the ladder, and go long. My medium-term money is laddering in 5-year CDs. If rates rise substantially, you can always pull your money and take the penalty of 180 days interest or whatever. But until then, you get a significantly higher rate… up to the low 4% range if you shop around. Economists are very very mixed on whether rates will be going up or down in the near future… the risks of inflation versus deflation being relatively balanced at the moment. So sitting on the sidelines could be a very bad move indeed. Think of the option to pull your money as just that – an “option” that protects you in the case of higher rates. The only advice I would give is that sitting and waiting for rates to go up doesn’t make you any money. If you are running a 5 year CD ladder you are getting a better return on your CD than just about any other place right now, and would still have a CD maturing every year in case the rates do go up.